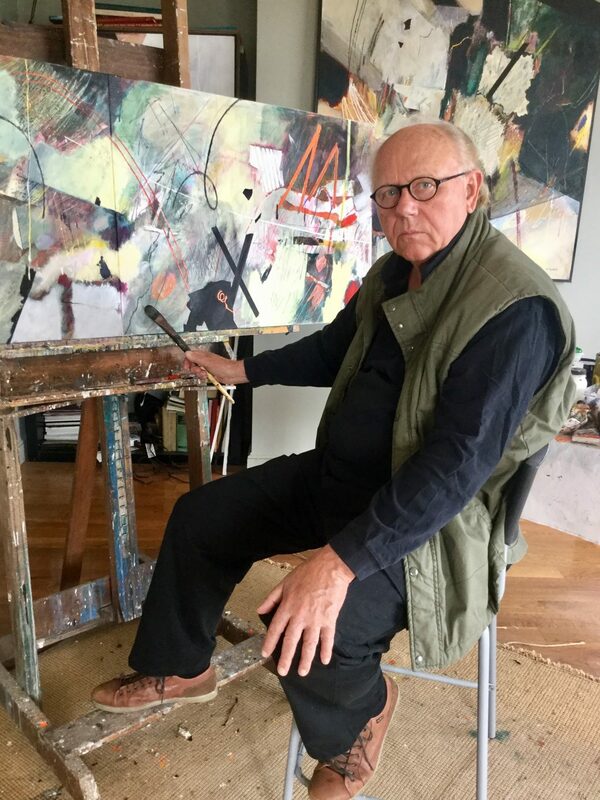 William Kendall is a gifted American painter who uses a distinctive color palette and a mix of techniques – including layering, impasto, scumble and glazing to construct striking abstract works. 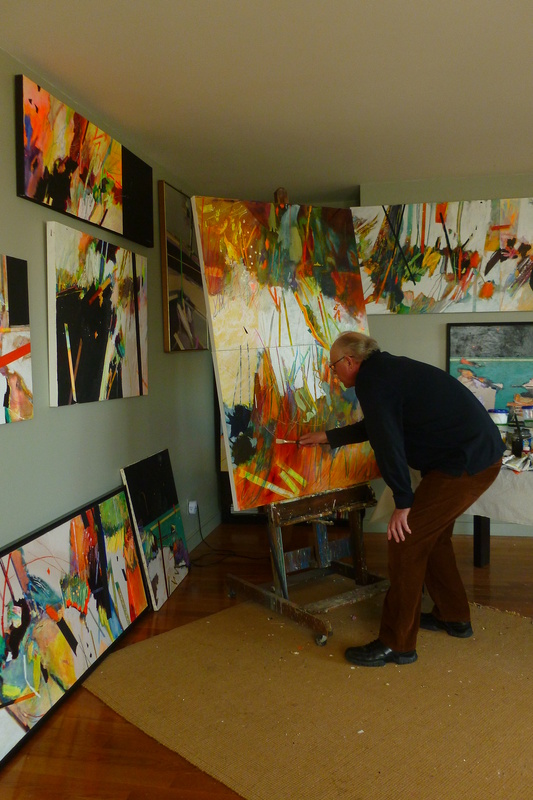 From the silence of his studio to trusted critiques from his wife, read on to discover the elements that make up this proud painter’s daily routine. Good morning, William! What’s the first thing you do when you wake up in the morning? The very first thing I do in the morning is go to my iPad and check the world news and social media -Facebook, Instagram etc. The internet has opened up so many new avenues of discovery. It is so inspiring to see artists from all over the world creating and sharing their work. I find that no matter how far away we are from each other, we all share the same goals in the creative process. After a while I go up to my studio and begin my painting day in earnest. I usually begin by looking at a painting on the easel and realizing that there is a long road ahead of me. For me, painting is not fun; it is a constant struggle. I feel that one of the most important things an artist can have is a firm knowledge and reference to the history of painting and the artists before him – an awareness of what has been done in the past. In terms of technique, as a college art professor, my training was in traditional painting. My process is a complicated layering of pigments using impasto, scumbles and glazes. I try to experiment with the paint surface ; I create space by using techniques that I have developed over time. I do not set out to express any emotion or to send a message. The subject of my paintings is the paint itself . I am totally involved with what can be done on the canvas through the manipulation of the paint . I suppose one would say I am a colorist- and color is very difficult to use; one must have the knowledge to know what happens when glazes are applied, and edges meet. I am always searching for a color palette that I have never used before. I let the paint lead me off in new directions, as a result, I am constantly frustrated by the time it takes me to complete a work. William Kendall, ‘Sea Passion’ 2016. Acrylic on Canvas, 107x97cm. Are there any particular artists who inspire you? One of my greatest influences in painting is Cezanne – his abstract paint strokes, and his great sensitivity to color. After I retired from teaching, I moved to a small coastal town in New England. After a ten year hiatus, I built a large studio that has wonderful views of the Atlantic ocean. This move created a renaissance in my painting; over the last five years, I have worked almost every day. I find that there is something invigorating about living by the sea – the sound of the surf and the ever changing color of the water. Somehow, these influences seem to appear in my work. I name the paintings after they are finished, and most of the time, the names reference the sea. William Kendall ‘Night Beach #5’ 2016. Acrylic on Canvas, 61x102cm. Do you have any studio essentials or rituals? I prefer to work in silence, music does not help me ; I am really too involved in the decision making. 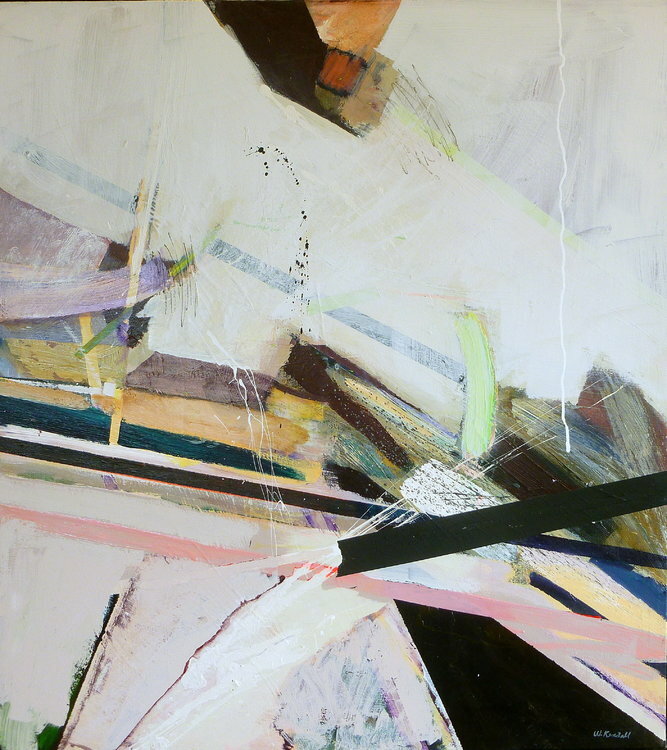 One of the most difficult things for me as an abstract artist is to know when to quit. The very nature of the process, where there isn’t a definitive ending, can cause me to keep going and over-work what would have been a good painting. I am fortunate to have a wife and partner, Jeanne, whose background in art parallels my own. We met over forty years ago in an art school painting class and have been collaborating ever since. As an artist, she is perhaps the only person who truly understands my painting techniques, so her critiques of my work are always welcomed. As she has often said, my method of painting is “a lot like making fudge – one has to know when to take it off the burner, or it will turn into sugar.” The most important part of our relationship is that she has the ability and judgement to decide when my work is finished. The best day for me is when she ascends the stairway to my studio, looks at my painting on the easel, and says “sign it”. That really is “music to my ears”! William Kendall at work on a painting. 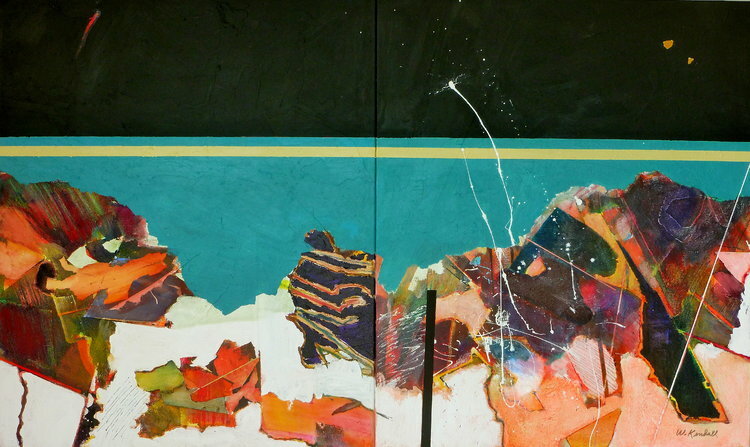 Discover William’s artist page on Singulart to purchase one of his standout abstract works.